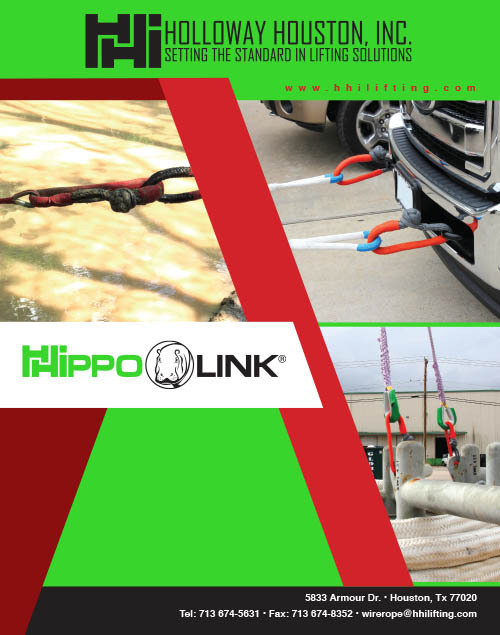 HHippo Link Soft Shackles | Holloway Houston, Inc.
HOLLOWAY HOUSTON INC. Introduces a new improved version of the traditional soft shackle. Utilizing our unique braiding machine, we have added an additional braided polyester jacket coated with Fiber Lock as abrasion protection over the body on the Hippo LinkTM. This feature gives the Hippo LinkTM added life and durability.